The first Eastlake families recorded in the Tavistock area are in Lamerton, Mary Tavy, Peter Tavy and Whitchurch. They then move to Tavistock itself about 1700. Many of the families appear to have attended the Abbey Chapel Presbyterian Church. 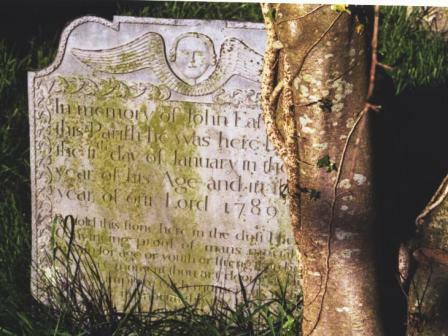 Two well preserved headstones have been found. 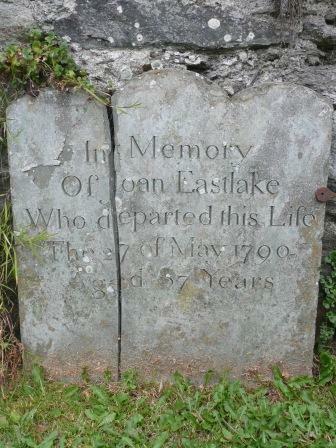 The first for Joan Eastlake in Abbey Chapel burial ground and another for John Eastlake in Peter Tavy Churchyard. Unfortunately, the stone in Peter Tavy is partially obsured by a tree trunk which has grown across one side and covered some important information. I would like to thank Valerie Turvey for all her help with these families.